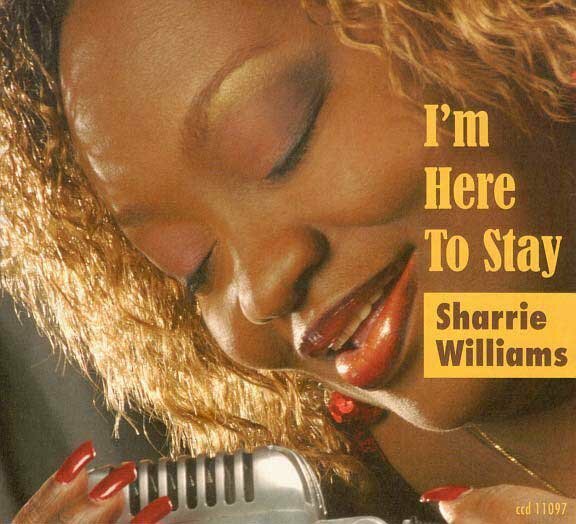 After several extensive and very well received European tours, Sharrie Williams must be regarded the new star of blues, soul, rock and gospel music. She was raised in Saginaw, Michigan, a city that brought you several big names in popular music, amongst them jazz saxophone player Sonny Stitt, or Stevie Wonder. The Greater Williams Temple Church of God in Christ's choir is very well known in churches through-out Michigan. One of the lead vocalist of that choir in the 1970s was Sharrie Lynn Williams. “I must have been about 11, and I was a typical girl, singing Diana Ross songs in the bathroom mirror, holding a little brush or a bottle of lotion as my microphone, and I knew I wanted to be a singer.” It was at the age of twelve that Sharrie had her first solo in the choir. Her roots were not only deep in gospel, but also jazz and blues, along with contempary influences such as, Tina Turner, (“my all-time favorite”), Etta James, Pattie LaBelle, Aretha Franklin, Billie Holiday, Natalie Cole, and many other female artists. It was in high school that Sharrie and guitarist, James Owens, were part of the Saginaw High Jazz Band, that included a tour in Jamaica. 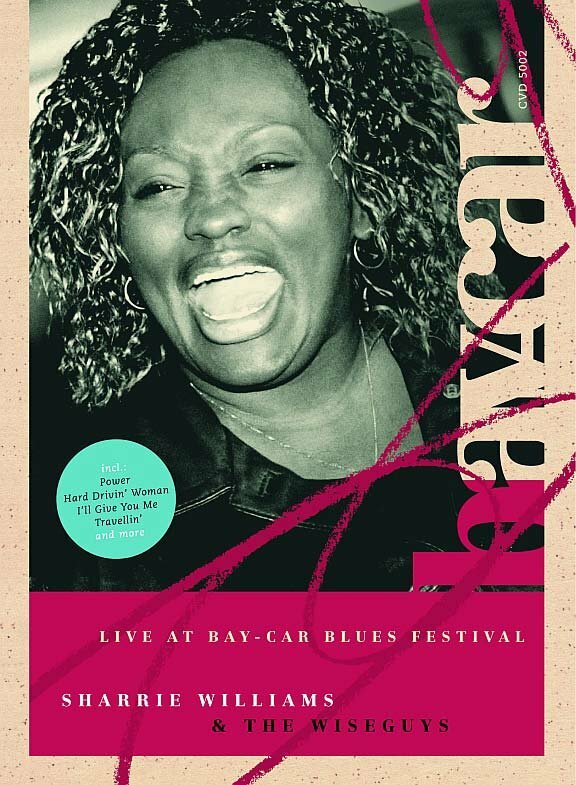 In the mid-1990s, and after a personally difficult period in her life, she began to sing the blues. Sharrie caught the attention of Mike Vernon, record producer and founder of Blue Horizon Records (UK). Later, after meeting her again at Buddy Guy's Legends in Chicago, he recorded a studio album with Sharrie that was never officially released. In the late 1990s she began working with guitarist James Owens, again. They founded The Wiseguys. With their current line-up consisting of Owens on guitar, Marco Franco -bass, , Sterling Brooks on drums, and Italian keyboard player Pietro Taucher, The Wiseguy are one of the hottest gospel/soul/blues/rock acts, worldwide. On stage, Sharrie Williams and her band are phenomenal. There's no better band around when it comes to performance, persuasion and pure energy. Her new studio album and CrossCut Records debut was produced by Michael Freeman, and recorded in Saginaw and Chicago. It covers Sharrie's whole spectrum, her impressive vocal power, her soulfulness and her art of presenting the unusal: from a whisper to a scream! Scharfkantig und kraftvoll lässt die Produktion überdies genug Kanten und Ecken übrig, um Williams Glaubwürdigkeit nicht zu untergraben. Hinzu tritt eine erstklassige Band um Gitarrist James Owens an der Spitze, die auch vor jazzigen (“Selfish”) oder funkigen (“My Best Friend Is Gone”) Momenten nicht kapitulieren. Eine der besten Plattern der letzten Jahre! There's no mistaking that Sharrie Williams displays all the credentials to establish herself as a force to be reckoned with. Wie erfrischend ist bei all der Retortenmusik für den Ex-und-hopp-Genuss ein Album, das lebt, das atmet, dessen Musik Herz und Seele hat. “Hard Drivin' Woman” ist ein solches Album, dem man sich nicht entziehen kann, das unbändige Energie mit dem Sentiment des Blues verbindet. Da geraten die Beine unwillkürlich in Bewegung. She has reason to be cocky, fronting this powerful band that cooks a tasty soul/blues/gospel stew. Williams is a serious, formidable vocalist with a lot to say, song wise. Production and arrangements here are exceptional; the gospel-tinged “Travellin” is an early knockout. Hier weiß eine um ihre Stimme, überdreht nie. holt aber jedes Mal das Nötige aus ihr raus: ob Boogie, Soul, Bo-Diddley-Beat in “Travellin'” oder, natürlich, “Gospel Blues”, das meiste mit Gitarrist James Owens verfasst. Altmeisterig, verdammt jung. 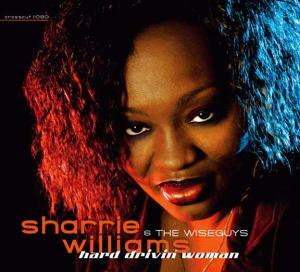 First (and title) track “Hard Drivin Woman” certainly lives up to the name, Sharrie's immense vocal power draws you in instantly and the band is certainly rocking hard-a cracking opening to a surprisingly strong collection. 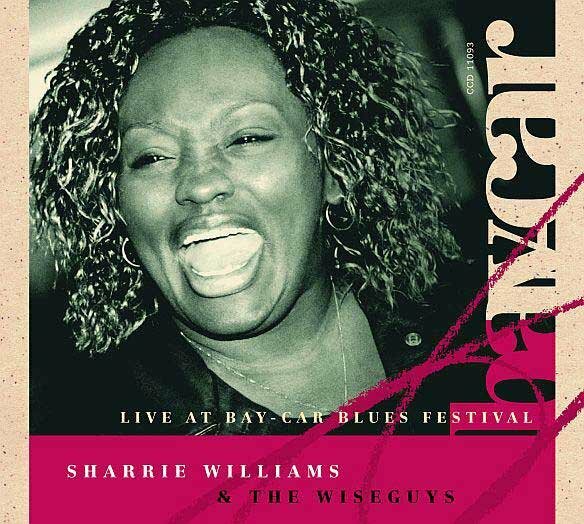 Sharrie unquestionably has one of the most compelling female voices I have heard in the Blues and this more than anything carries the album above the average. (…) Not one I thought I'd dig but dig I do, deep man, deep!